Orr Hot Springs is a clothing optional facility. Reservations are almost always necessary, as we often fill up for Day Use and Overnight stays. We do not allow pets on the property or to be kept in vehicles in the parking lot. If you are traveling with pets, please make arrangements to board them with a friend or in the town of Ukiah prior to your arrival. Regarding Children: Orr Hot Springs is first and foremost a place for adults to come and relax. That said, we do allow children with some restrictions. Please see our Child Policy for more information. We do not serve or sell food, and are nowhere near a restaurant or grocery store. We have a large communal kitchen in which to cook; just make sure to bring your own food, cooking oils, and spices. For more information, click here. Precious metals such as gold and silver will tarnish when exposed to the waters. The tarnish will eventually wear off or can be removed chemically. Food and beverages, including cooking oil, seasonings, and paper products such as coffee filters, if you would like to cook a meal in our Communal Kitchen. Please note: we do not serve or sell food, and are 12 miles away from the nearest grocery store or restaurant. If broken glass gets into any of the communal tubs, they will shut down, which makes for a great deal of unhappy people! 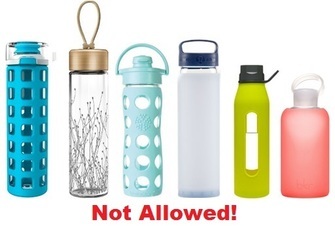 If you would like to bring water bottles, just make sure they are either metal or plastic. There is also a drinking fountain with filtered water available at the Bathhouse. If you wish to bring devices such as laptops, tablets, portable gaming consoles, etc., please use headphones and ensure they do not disturb others. Cell phones and other devices with cameras are not allowed at the Bathhouse. Bedding is already provided for Rooms, Yurts, and Cottages, but if you would like to provide you own bedding (such as pillows, blankets, etc.) feel free to bring it yourself. Because all of our tubs drain directly into the creek that runs through the property, we ask guests not to add products such as Bath Salts or anything else to the waters. Also, the use of Lotions (especially Eucalyptus) is also not allowed in the Steam Room/Dry Sauna for the same reason, as well as for the comfort of our other guests. Note: The use of Soap/Shampoo/Other Products is allowed in the Showers since they drain into a septic system, however we would prefer if the products were biodegradable. Please Note: There is no cell service at Orr Hot Springs, and we do not have WiFi available. Every morning at 7:00AM the Bathhouse closes for cleaning. The Steam Room, Dry Sauna, Cold Pool, and Trilby Spring reopen at 8:00AM, while the rest of the Bathhouse remains closed until 9:00AM. On Tuesday we drain and clean our large Cold Pool starting at 12:00PM. The pool takes approximately 20-24 hours to fill back up and is generally available Wednesday morning when the Bathhouse opens.